(MoneyWatch) As the air turns crisp and the leaves turn color, auto dealers are just trying to turn over their remaining summer inventory. That results in some of the best low-payment lease deals in recent months — especially on 2013 versions of popular midsize cars like the Honda Accord and Hyundai Sonata. With the 2014 model year underway, manufacturers are offering subsidized leases to help their dealers clear out the remaining 2013 models. And there are even some attractive lease deals on 2014 models. In any case you need to understand leasing and how it works so you can negotiate the best possible deal on these and other models. Any lease deal contains three factors that, along with the length of the lease, determine what the monthly payments will be. Capitalized cost. This is the equivalent of the purchase price and often can be negotiated. Research the average selling price for the model you are considering for a lease. Compare that with the capitalized cost in the lease you are offered and see if there is room for negotiation. Money factor. This is the equivalent of the interest rate on a loan and usually is expressed in decimal fractions such as .0015. To get the interest rate equivalent, multiply by 2,400. That .0015 number is equivalent to 3.6 percent. Compare with current average loan rates — 2.82 percent according to Bankrate.com. Dealerships can be reluctant to disclose this number, so be persistent. Residual value. This is an estimate what the car will be worth as a used vehicle at the end of the lease. Manufacturers with subsidized leases often set the residual value artificially high in order to lower payments. You can get the industry figure for any car at Cars.com residual values. To see how payments would change if you negotiate down the capitalized cost, put the numbers into the Bankrate.com lease calculator. 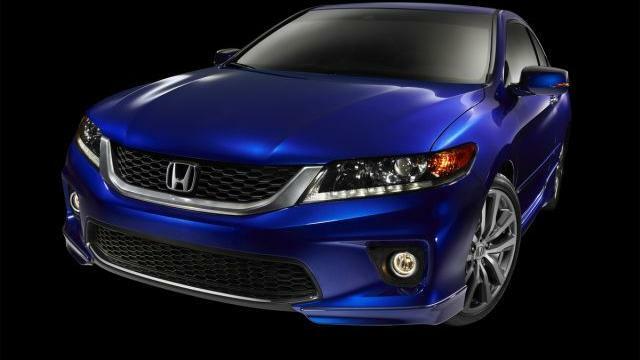 For instance, let’s look at a Honda lease offering for the 2013 Accord coupe, the CVT-LX-S version. The lease is with no down payment and $300 a month payment for 35 months. (All payments cited are before state or local taxes). The list price is $24,990 with the capitalized cost reduced to only $24,257. The implied interest rate seems to be just below the 0.9 percent being offered on financing deals. But the average selling price for this car, according to Edmunds.com, is $23,306 including destination fee — well below the capitalized cost in the lease. If you have a strong credit rating and can qualify for this lease, try negotiating the dealership down to $23,300 or less. That would cut your monthly payments to about $275, according to the Bankrate.com calculator. 2013 Hyundai Sonata. Hyundai is offering its well-reviewed sedan for $199 a month for three years with $2,199 due at signing. Hyundai is using the pre-down payment price of $21,990 as the capitalized cost. Average selling price, according to price service TrueCar.com is $19,604. So aim to negotiate down the capitalized cost toward that level. 2014 Chevrolet Equinox. If you are looking for an SUV, Chevrolet is offering its Equinox at $199 per month for 36 months with $3,439 due at signing. The $25,235 manufacturer’s suggested retail price is used in the lease. Instead, try to negotiate the capitalized cost down to at least $24,450, cited by TrueCar as the average selling price. With nationally subsidized leases, the residual value and money factor — the interest rate equivalent — often are set by the manufacturer. But with such leases or other lease offers you get, negotiate hard on the capitalized cost to get your payments down.